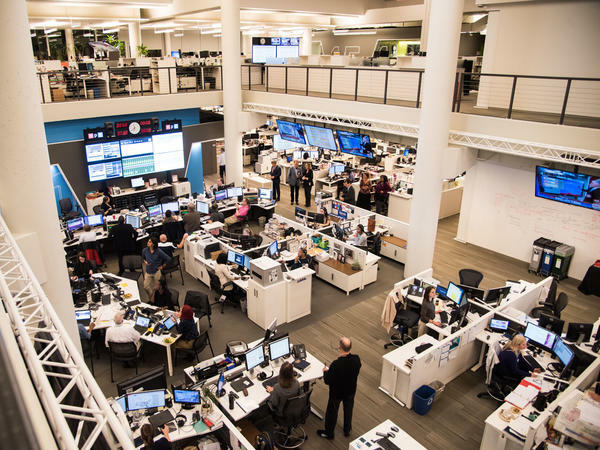 The Radio Television Digital News Association announced today the 2018 National Edward R. Murrow Award recipients and NPR earned five awards, the most honors of any news outlet this year. In the Radio Network category, NPR and National Correspondent John Burnett were recognized for continuing coverage and reporting of immigration stories. NPR's social science podcast Hidden Brain won for their excellence in social media. You can send them a social media high-five via Facebook, Twitter and Instagram. This Weekend Edition Sunday story from NPR National Correspondent Leila Fadel and Senior Producer Rebecca Davis featured voices from survivors and first responders of the shooting massacre in Las Vegas from October 2017. It earned the top spot in the Excellence in Sound category. David Greene's international reporting from Moscow on the brutal treatment of gay men in Chechnya was recognized in the Hard News category. Listen now to the poignant 7-minute piece from Morning Edition produced by Gabriela Saldivia and Natalie Friedman Winston. NPR's Embedded podcast takes a story from the news and goes deep. In this award-winning episode, Kelly McEvers, Tom Dreisbach and Sonari Glinton share the largely untold creation story of Trump National Golf Club - Los Angeles. This episode, first published in October 2017, is recognized in the News Documentary category. Meet more public media recipients of 2018 Murrow Awards at the RTDNA website. The Murrow Awards are the embodiment of the values, principles and standards set forth by Edward R. Murrow, a journalism pioneer who set the standards for the highest quality of broadcast journalism. Murrow Award winning stories put public interest above all else, provide a catalyst for public discussion, and adhere to the RTDNA Code of Ethics. Of the awards given to journalists, the Murrow Awards are among the most respected journalism awards in the world.